We’ve stumbled upon another widget built with tablets specifically in mind that is bound to help improve some productivity for folks who spend most of their days plugged in to the Internet. With Tabr Widget, you can neatly organize your contacts, calendar events, and online bookmarks for easy access straight from your homescreen. When you open up the widget, you are asked which tabs you want to have added on. You can choose to have your contacts listed out, your calendar events, and choose one of your social network’s streams to show up. 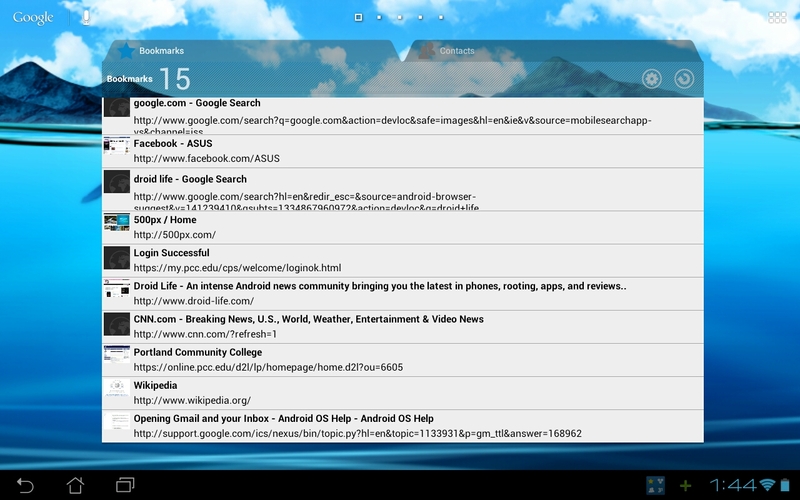 It’s pretty good for an all-in-one widget. Once downloaded, you’ll need to download a couple add-ons that are free from the Play Store to get the full effect, so give it a go and let us know what you think.